Are you involved in the development and execution of technical projects and eager to know what it takes to fund a project successfully? Would you like to be more in touch with the latest developments in project finance and able to use these to your advantage? If so, you’re in the right place! At the end of the course, you’ll understand what is required to achieve successful project financing. Project Finance: Funding Projects Successfully by TU Delft OpenCourseWare is licensed under a Creative Commons Attribution-NonCommercial-ShareAlike 4.0 International License. 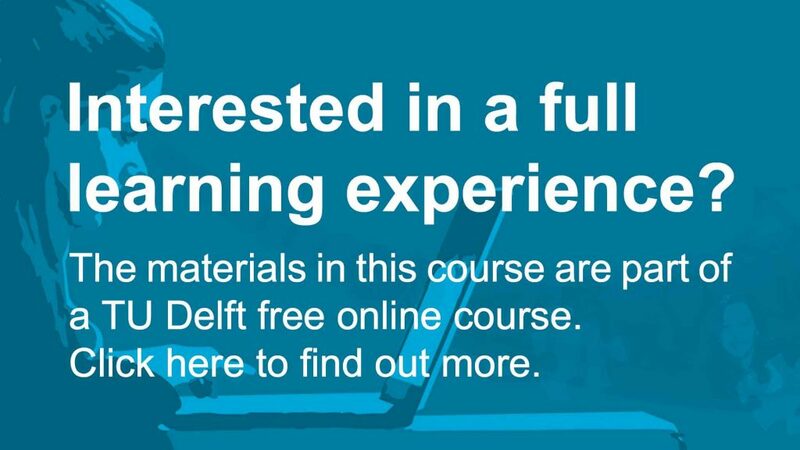 Based on a work at https://online-learning.tudelft.nl/courses/project-finance-funding-projects-successfully/.